Evening. Very quiet - only 1 other customer in. Friendly and prompt service. Visited on a loverly hot day and sat on one of the benches at the side of the pub. The lunch was good (although it took a while to arive). Eagle (was Wells & Young's, was Charles Wells, was Wells) - Young's Bitter 3.70 I'd heard rumours that Young's bitter was suppose to taste like this but never found a pint that did. This was a beautiful pale golden brown with a creamy and very hoppy taste to it. There was even a bit of malty depth. If only every pint of Young's tasted like this. 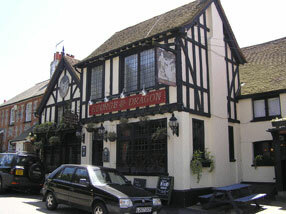 The pub is found in Downe, Greater London, BR6 7UT. Set in a lovely location overlooking the church in the centre of Downe. The main bar inside is L-shaped with plenty of seating. To the left is a restaurant area with bar. There's a small beer garden at the rear. 3 sets of double hand pumps - 2 sets in main bar and 1 set in the restaurant bar. The 146 bus terminates nearby. 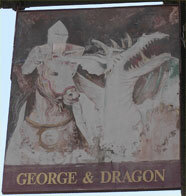 We have visited this pub twice, seen 7 different beers and tried 2 of them.